Reddish brown and bright colour, medium texture and straight grain makes Khaya one of the most exotic african species. 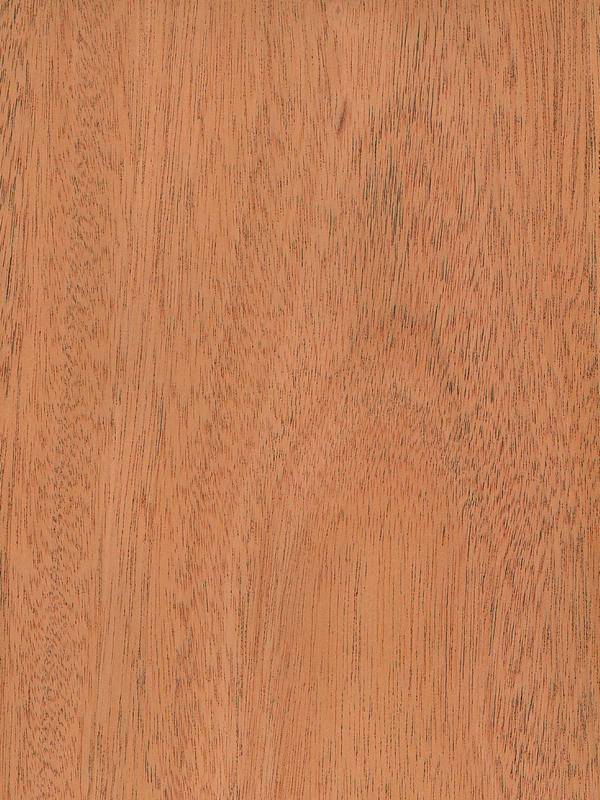 Khaya is also known as African Mahogany, it is usually grown in Central and West parts of Africa. Similar to many other African trees, Khaya is very straight and large. It is so large that it can sometimes grow as much as six to eight times the size of a standard United States Maple or Cherry tree. This species is generally transported with only one log to a large flat-bed truck. Khaya Crown Cut has very nice cathedrals that only enhance this beautiful wood. Its colour ranges from pale, whitish pink to a darker pinky red. Furthermore, it is typically stained to a very dark and rich tone. An exotic, modern and adaptable element. Khaya Crown Cut has been widely used in furniture-making and interior decoration for many years. This veneer is a great alternative species for South American Mahogany when a dark stain is to be used. Indeed, this species is a fairly open grained veneer but nonetheless useful for all kinds of cabinet and interior joinery work where a Mahogany look is required. That is why Khaya and its bright and warm colour gives the possibility to fill spaces with a subtle unusual african scent, or even be used as a deliberate contrast to modern element. Indeed, this wood reaches its best peaks as a very natural effect, and together with its exotic appearance is a style absolutely trend.